I've always been meaning to try out the Sleek highlighting palette and came across the highlight and lip kit at Boots on offer which basically meant it needed to be mine. I've tried the Matte Me Lip Cream before in the past, therefore, I have only swatched the colour as I'm not a fan of the formula which I've talked about here. 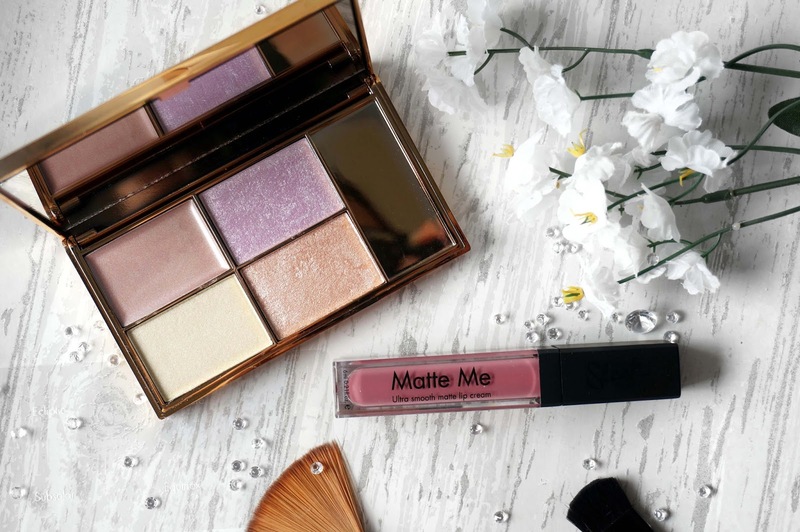 To find out more how I got on with the highlighter palette read on. When it comes to packaging I seriously love it when it's different. This looks sleek with its gold plastic case and has a magnetic closure as well as a wide mirror. I would prefer it the palette opens wider than 90 degrees so I can tilt the mirror instead of lifting the palette level to my face.It came with a brush which I immediately binned since it reminded me of the bristles of a floor sweeper and you don't want to dip that into your beautiful palette. Overall 9/10 for packaging. There are 4 products in this palette, one which is a cream highlighter and the others all powders. The names as follows: Ecliptic, Hemisphere, Subsolar and Equinox - the names makes me think that these are going to be blinding highlights and I am not wrong. 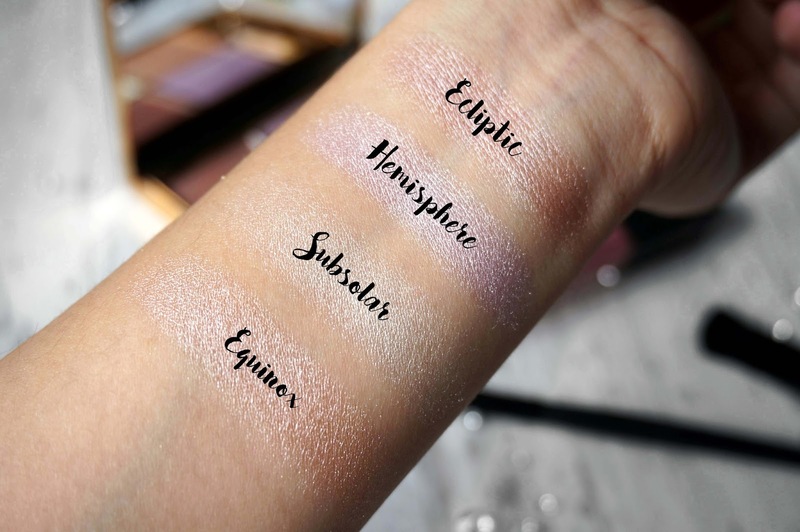 Ecliptic is the cream highlighter, a colour that I would describe as a rosy champagne colour, this melts really easily into your skin and the best way to apply this is with your fingers. This can be used as a base if you want your highlight to shine to the moon. I don't reach for cream highlighters that often so I always neglect this shade - I do prefer my Colourpop Super Shock Highlighters more since I have a varied shade range that I can pick from. Hemisphere is a baked highlighter and I would describe as a lilac highlighter. 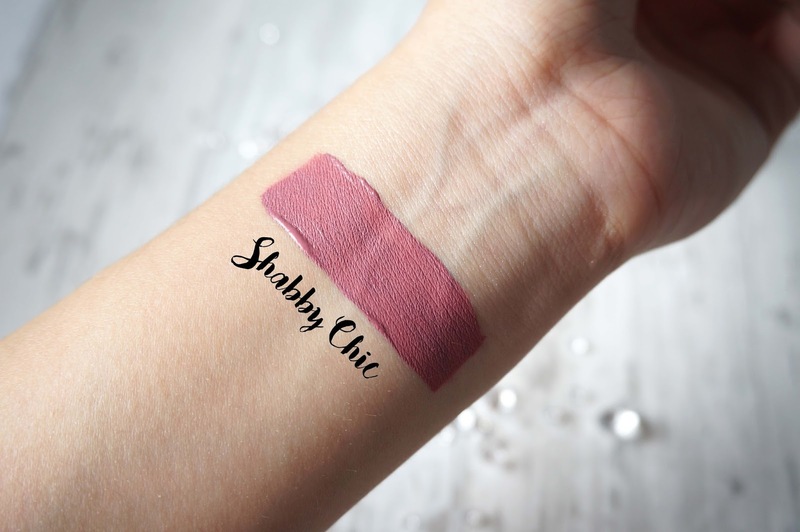 At first, I thought this was the most unwearable shade since it is purple but on the skin, there is only a hint and if you use this on your inner eye corner everything just pulls together and because it is pigmented go in lightly. Subsolar is another powder highlight which I describe as a pastel yellow with a light sheen and is the most subtle shade out of them all. It almost has a white cast when you apply this onto your skin and blends very smoothly. I would say don't get scared by the shades, I steer away from colours that I don't think I can pull off and boy was I wrong. Hemisphere is so beautiful and when I use a purple eyeshadow within my crease everything just pops and I can't get enough of it. I like using a fan brush with all the powder highlighters and be warned to use sparingly since they are pigmented. Overall I love this for my light to medium skin with yellow undertones (quite a mouthful) and I can't recommend it enough! Have you tried any of the Sleek highlighting palettes? I use the highlighting palette every time I do my make up, I love the two lightest shades for highlighting my inner corner and brow bone, it really makes them pop! The highlighting palette is gorgeous, I use it on a daily basis!